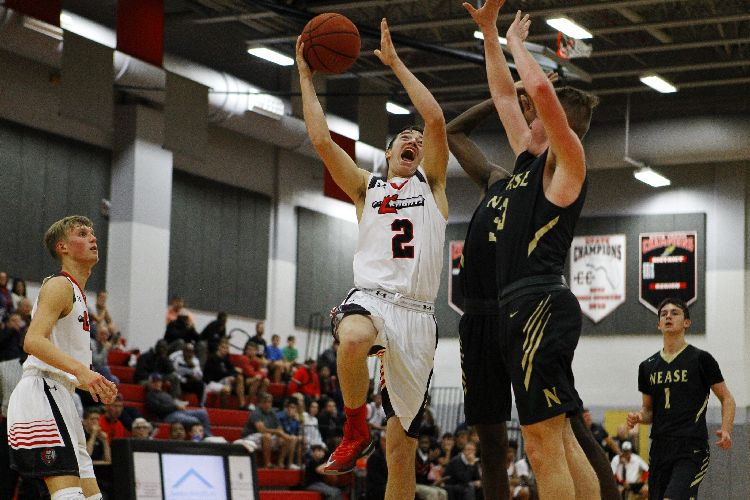 It may have taken a little longer than expected, but Creekside won its first boys basketball game of the season Tuesday night to give head coach Will Mayer his 300th career victory. With the 60-44 win over Cornerstone Christian, Mayer improved his career record to 300-172, including a 91-32 mark at Creekside. Garrett Denny scored 16 points and had a team-high four assists to lead the Knights (1-6) to the home win. Nick Rice added 13 points. 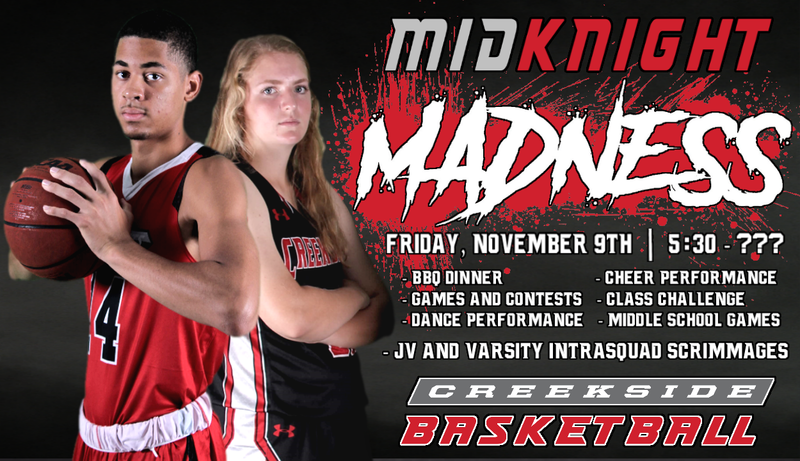 Mayer was the head coach at Middletown North (New Jersey) in 2001-07, Cedar Shoals (Georgia) in 2007-10 and Monsignor Donovan Catholic High School (Georgia) in 2010-14 before taking over at Creekside before the 2014-15 season. His teams have won more than 20 games in each of the past three seasons. The Knights were Class 8A state runners-up last season. 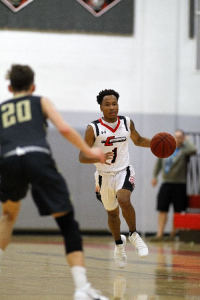 J’Michael “Jay” Plummer, a senior point guard for the Creekside Knights basketball team, is of the 2018 college signees. 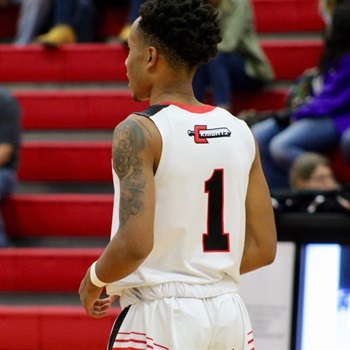 As a 4 year starter, he is the only player in Creekside history to eclipse the 1,000 point mark in his career. But he is ready to take on the next big challenge in his life… College Basketball. 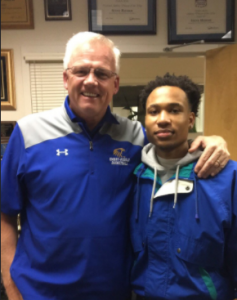 Jay made the tough choice of committing to Embry Riddle University in January. Jay explained that Embry Riddle “really did feel right” for him and “they were different” from the other teams that were showing interest. Coach Steve Ridder told Jay that the team needed someone who could come in and be a floor general. When he got to visit and watch a game, Jay realized that is exactly what they were missing. This has prohibited the Eagles from taking the next step as a team. He felt that the honesty shown by the coaches on the recruiting campaign led him to Embry Riddle. It showed the character of the coach and who he is as a person. Another aspect that Jay looked at very seriously was the distance from home. His mother said that it is such a big part of his life, so he really wanted to be somewhere where she was able to come and see him play. When asked about the biggest influence in his life to get to this point, Jay responded that many different influences carried him through his basketball journey. From all the coaches, fellow teammates, friends, family members, however, the largest would be his mother, Ornett Jackson. She has always been his biggest fan and had the foremost support for his career. She has contributed a large part in his work ethic to become the best ball player he can be. Having Jay in close proximity to her will no doubt mean she will be at his college games, supporting him just as she always has. 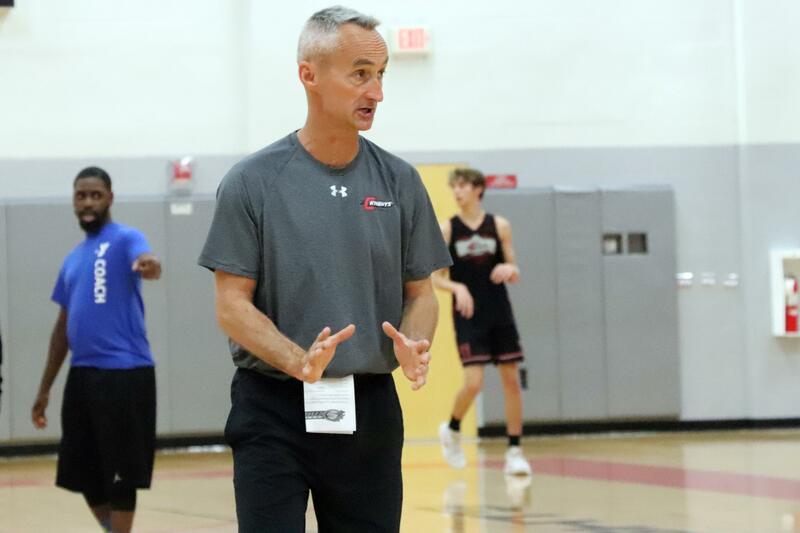 While the step from high school ball to college may be tough for many student athletes around the country, Jay feels that he is prepared for a smooth transition. 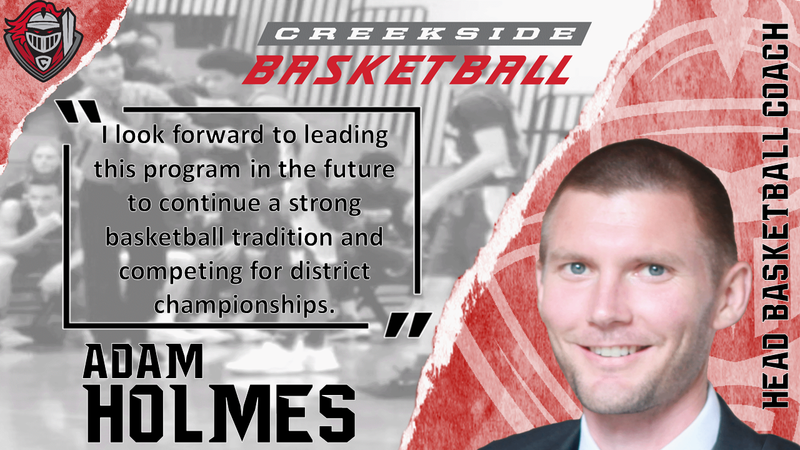 His teams at Creekside High School have been dominant in recent years by making it deep into the State Playoffs. Experience in big time games that have increased tempo and having everything out on the line is great for him going forward. J’Michael said, “the good thing about Embry Riddle is that I will be able to go over and take some summer classes and be able to get into the flow.” Getting into the flow will be an enormous advantage over other incoming freshman athletes as he will be adapted to the college world and begin to focus on basketball as well as his academics. J’Michael Plummer is well suited to take on this challenge as he looks to continue to grind and advance his game. He is a well rounded player with many of the tools in the bag to be able to make it big for himself. Watch out for J’Michael Plummer! With his grit and determination, nothing seems to be able to slow him from achieving great things at the next level. 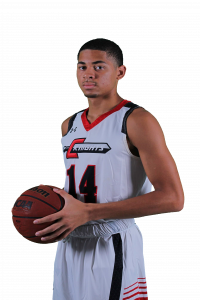 Noah Lippy is a senior at Creekside High School who has played basketball for the Creekside Knights boys basketball team for four years now. Spending three of seven years of his career on the high school varsity team, Lippy has made lots of memories. His favorite would be the district championship during his junior year season. There, he had a career high of 17 points, which was a first in seven years at Creekside! Also during that season, Lippy says he won the 6th man of the year award. Playing guard and forward for the basketball team, Lippy was a part of the team that has set the single season win record each year. Their goal is to win state during this season, which is what the team works for accomplishments. Born in Baltimore, Maryland, Lippy moved here to St. John’s when he was five years old. His brother attended Creekside before him, who played three years of varsity baseball. His younger sister made varsity basketball as a freshman, and is starting on varsity as a sophomore this year, as well. Lippy shares that he carries a 3.0 GPA through his student-athlete life. His favorite class that he has taken so far was during his junior year; English with Mrs. Cochiolla. Many of you may recognize him from football games, where he was the unofficial student section leader. He also participates in the Chick-fil-A leader academy, Knights of Distinction, and Senior Men. “Creekside has given me so many opportunities to make high school the best it can be. I’m glad it was where I got to spend the four best years of my life.” We wish him all the best throughout the second semester of his senior, and last, year at Creekside. 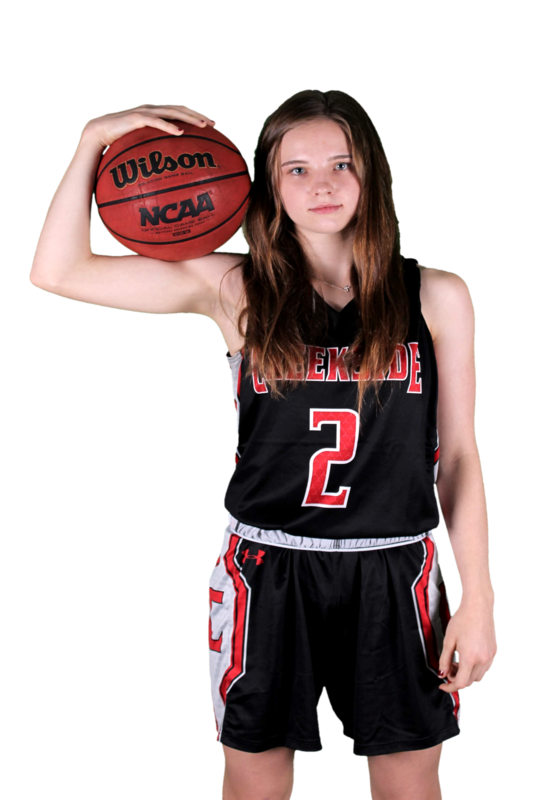 Creekside oustcored St. Augustine 22-8 in the third quarter Wednesday night at home. 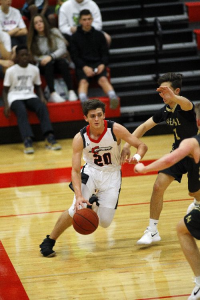 Boybby Kasprzak led the Knights (13-2) with 11 points, while Garrett Denny scored 10 and Noah Lippy and Mekhi Parker added nine points apiece. Kyrie McMillian led St. Augustine (4-8) with seven points. Colin Robin had six. 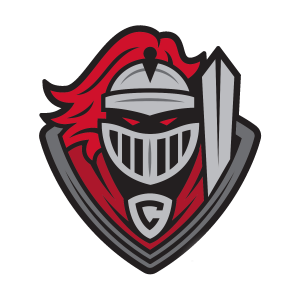 Creekside will host Ponte Vedra at 7:30 p.m. Friday. 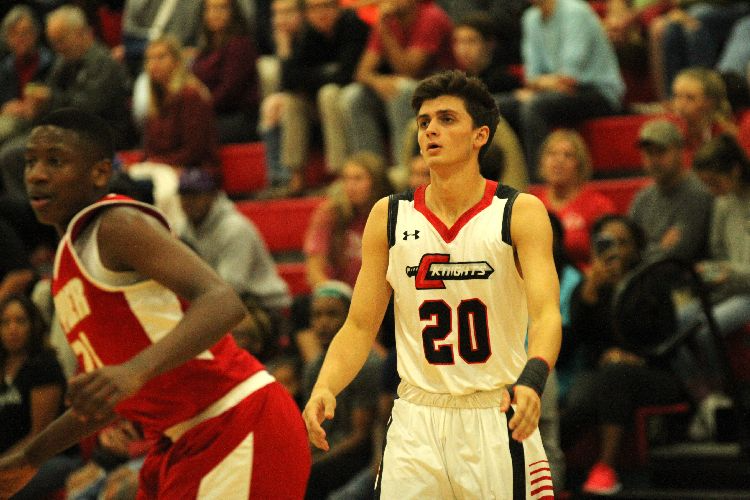 St. Augustine will play Bartram Trail at Flagler College Gymnasium on Friday night at 7:30. 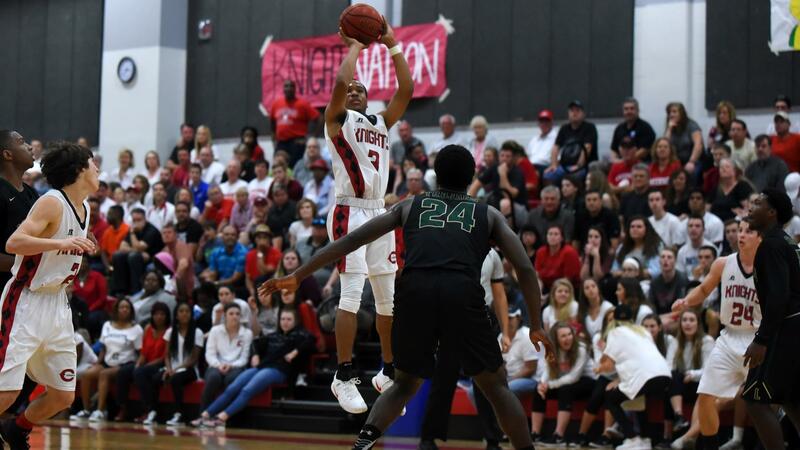 J’Michael Plummer scored a game-high 20 points and achieved a career milestone, and Creekside (12-2) outscored Tampa Plant (9-2) 17-5 in the fourth quarter Saturday to knock off the Panthers. 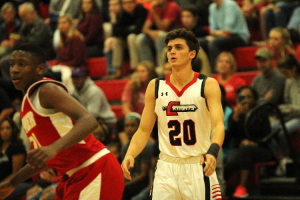 Plummer reached 1,000 points in his varsity career on a 3-pointer in the third quarter. The senior point guard hit 5 of 6 free throws in the fourth quarter and finished the game with 1,007 career points. Noah Lippy added 11 points, including eight in the fourth quarter. Michael Phillips chipped in with nine points for the Knights. Glance: The Knights have powered through a decent row of teams thus far, the closest matches 10-point wins over Fleming Island and Oakleaf. More impressively, Creekside has done so without injured 6-5 F Caleb Townsend, who has yet to play after suffering a leg injury prior to the season opener. In his absence, J’michael Plummer (15.3 ppg), Noah Lippy (15 ppg) and DJ Dumas (10.2 ppg) have steadied the Knights. Lippy is coming off of a career-high 24 points in a 64-54 win over Fleming.